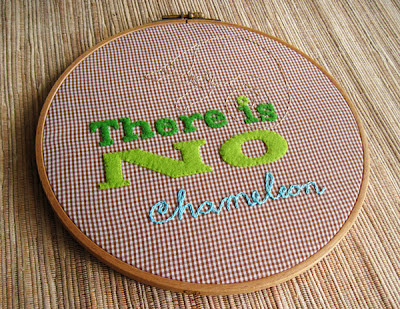 ...there is NO chameleon. I love patterns that make me smile! This fun embroidery pattern by Anne aka Pumora is perfect for stitching on your most groovy patterned fabrics. You can purchase the pattern here and the great thing is that the pattern includes the same sentence in seven different languages. Personally I'd love to see this stitched up in German!